We organize local and online events where you can learn, educate others and get inspiration on everything related to digital communication. Some events are for engineers, while others are more focused on best practices of real time communication..
We also organize Administration trainings, during which you’ll learn how to run and maintain your own Kopano installation. There’s a training scheduled almost every month, but you can also request a training at a different date, if you don’t see one listed in the calendar below that matches your schedule. A training covering day to day administration. While technical of nature, this training is interesting for Support Engineers, Functional Applications Administrators at partners and customers. The digital world around us is changing. More and more people are beginning to realize how important it is to have their online data under their own control. Open source software can help, as long as it is implemented in the right way. Yet open source software is still far too often a challenge to deploy and use. At Kopano we are on our way to change this. 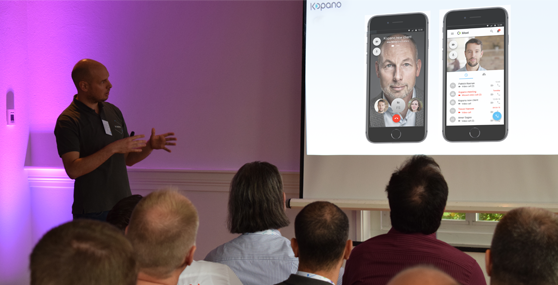 In the previous Kopano webinar we introduced Meet as the first member of a new family of progressive web apps. 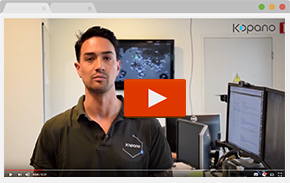 In this webinar (duration 1 hour) we want to showcase recent changes to Kopano Meet since its initial release in january. Users now can benefit from additional functionality like inviting external users and doing screen sharing and how administrators can configure this extra functionality. Afterwards we want to show some mockups on how this will later be made easier to use for end users. The second half of this webinar will show you how to use the Kopano Docker images to quickly demo Kopano and its functionality to your customers. A training covering the installation and basic maintenance of components. This training is interesting for Support Engineers, Applications and Systems Administrators partners and at customers. i Before joining the Kopano Admin 102 training, you must complete a Kopano Admin 101 training. At the Open Source Business Day 2019 in Bremen Peter Ganten and Andreas Rösler will introduce OSS to local companies and organizations around Bremen. Representatives from business and science will present an interesting spectrum of OSS-usecases. Also Lars Höger, CIO of our customer KiKxxl, is presenting there. Address: Markt 13, 28195 Bremen.